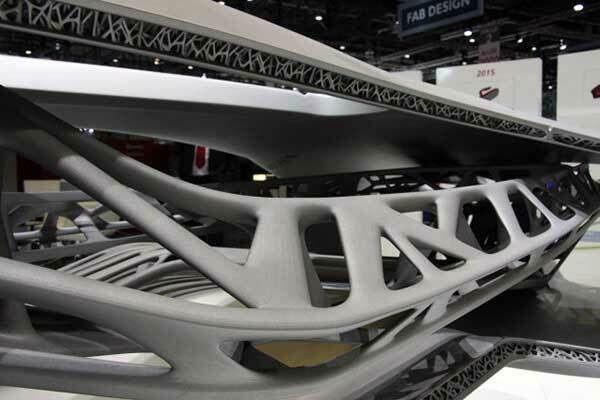 The new 3D printed car design concept is provided by the leading German company in the field of car manufacturing, EDAG GmbH. The concept design is inspired from the turtle shape and goes very wild with a futuristic design. 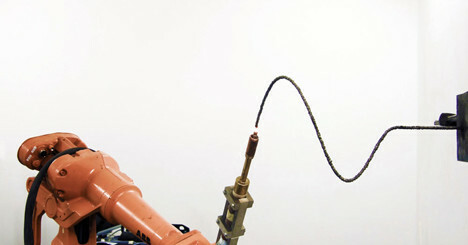 the 3D printed body can be printed as one part or multiple parts. The highlighted two advantages of the new technology that it allows designers to create light car with flexible design capabilities using body shapes that are hard to a achieve in production lines. The light weight 3D printed car can provide chance for designers to add more features to the car and focus on other parts such as the motor and the interior parts. The second advantage is the after-sale support. The consumer can easily go to the support center and replace damage car parts by directly 3D printing it with cheaper cost than ordering and shipping it. Currently, the 3D printed concept only allows printing parts of the car body as larger as the rearview mirror, but not a whole car. 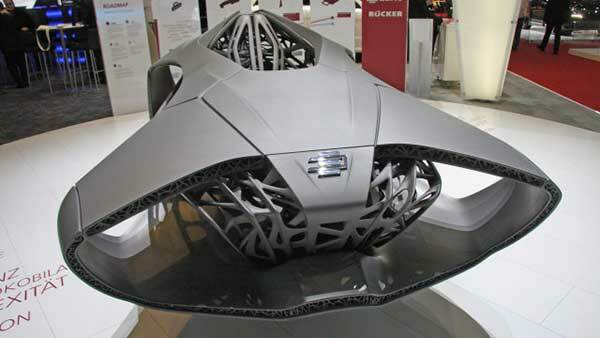 The research goes with a hope to be able to print a whole 3D car in the near future. The below video shows a preview to the new car design concept. It is short but gives ideas about how the future car may look like. Although, the printed size limitation, the new implementation to the 3D printing technology can be used partially in the manufacturing process including printing car parts for the classic cars where the genuine parts do not exist anymore. Also, it can be used in printing the parts that are hard to manufacture in the existing production lines. 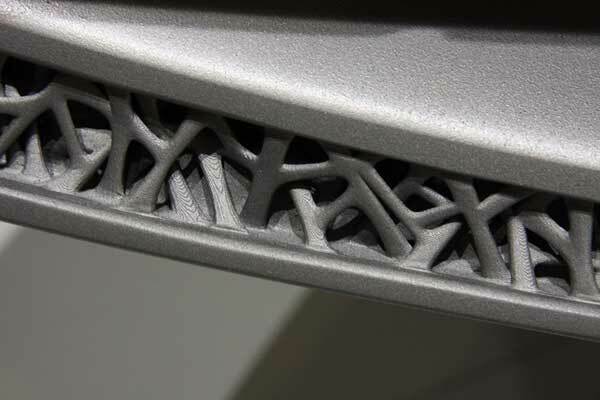 The new 3D printing technology can be used in creating rapid-prototyping for the new car designs and concepts for better analysis to the product design. The below photos show a close-up look to the car body structure.